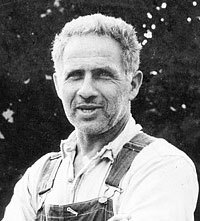 Farmer Mack Ness, who passed away in January 2004, named Jewish Federation of Central New Jersey (now Jewish Federation of Greater MetroWest NJ) as the sole beneficiary of his massive estate — provided the money be used to help Israel and a memorial be created to honor his mother, his brother, and himself. As a memorial, Federation created The Ness Business Loan Fund (Keren Ness), which is run in partnership with The Jewish Agency (JAFI), is providing small business loans to entrepreneurs seeking to start businesses and to existing businesses looking to expand. With additional support from the Greater Miami Jewish Federation, Keren Ness has made over $17 million in loans to more than 334 businesses over the past eight years to help establish and grow businesses in the Negev. Roy was born and grew up in Be’er Sheva, and has lived there all his life. After finishing an academic high school with a major in management and economics, he joined the army and served at the Hatserim School of Aviation as a deputy adjutant. After completing his service he worked at the Revivim factory for a year, then he left for a long trip to the Far East. When he returned to Israel he worked for a year at the Avis agency in Be’er Sheva and saved up for the restaurant. Falafel Shwarma Hakerem offers Israeli fast food: falafel, shwarma, and kabobs served in pita, Arab pita, or baguettes, served with Israeli-style salads. The business officially opened at the end of 2012 and operates as a family enterprise, with Roy’s father, brother, and uncle all working there full time. Roy also employs two students who help out during peak evening times, and sometimes they are joined by other family members. Roy would like to thank the Ness Loan Fund for its assistance and support for the opening of the restaurant, and for their meaningful role in helping him to realize his dream of opening his own business. Yonatan made Aliyah from India in 1980, and lives in Meitar with his wife, also an immigrant from India, and their son. 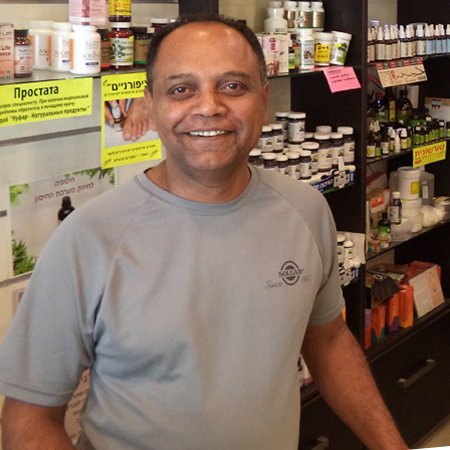 Yonatan owns a business that sells natural products, vitamins, organic food, dried fruit, gluten-free products, sugarless products, as well as food products that provide alternative-medicine solutions for a range of health problems. 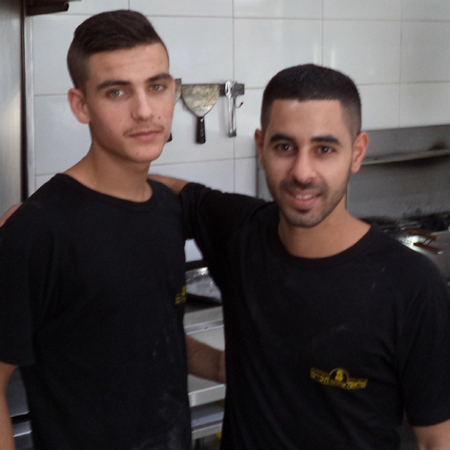 Yonatan opened the business in 2010 together with his brother, and they were highly successful from the start. After about a year, when a branch of Eden Health Market opened nearby, the business suffered badly from the competition with the large chain. Yonatan’s brother decided to leave the partnership, and Yonatan continued with the business on his own. The loan helped Yonatan to open a new branch in the Naveh Ze’ev neighborhood, in an area with a large customer base and no competition. Yonatan’s wife and three additional full-time employees work at the new branch. Rotem Teva focuses on natural products and health snacks. Also, following recent increasing demand, Yonatan has started to host lectures on health-related subjects, providing the business with significant exposure and boosting sales. The lecture project began from a one-time lecture. Then there was one lecture a month, and now there are two a month. Yonatan would like to thank the Ness Loan Fund for its great and speedy help, which greatly facilitated the development of the chain, and its success.